When it comes to email marketing, the aim is to get as many subscribers signed up as possible. But getting subscribers to complete the sign-up is only a small part of the process – more importantly is the welcome email the subscriber will receive next. A welcome email is the first friendly exchange that occurs between your business and the subscriber and is an ideal opportunity to sell your story and create a memorable experience. While most would agree that a welcome email should be short, simple and to the point, there’s a lot of important information which needs to be conveyed. It should be actionable, informative and clear and establish the trust that anchors a strong customer relationship. 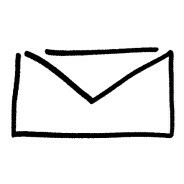 A welcome email has two main components: a message and design. Both are equally important – your content will get the message across, while your design will make it stand out and improve the overall experience. The tone of your welcome mail is also important – it should be conversational, but still fit your company’s voice. It could be informal, fun, quirky, witty, use slang or be quite formal, as long as it gets the message across clearly. It should reinforce any perks offered in the sign-up and explain why subscribing was such a good idea. Offer value from the start. It’s a good idea to make the subscriber feel they are not obligated to do anything straightaway (such as offering a free trial). Ensure the unsubscribe option is easy to find. It’s a good idea to offer a deal: a discount on first purchase, free download of an app/eBook or free shipping. It creates goodwill and offers an element of surprise, which is vital in keeping your subscribers engaged. It should have a clear Call To Action: using a button with contrasting colours is a good way to get a response, with words such as SHOP NOW or ENTER SITE or DOWNLOAD. In the design, use eye-catching images or icons to highlight your products or services. The design has to ensure your company is easily recognisable. Make sure your email is mobile friendly – 79% of smart phone owners are using their devices for email more often than calls. Use social media buttons – subscribers may be curious to find out more about the brand and the people behind it, so use every opportunity you can get. WSI, a digital marketing company with extensive experience in the fast-paced online world, covers a broad range of services. From social media optimisation, consulting, SEO, website design and mobile marketing solutions, they got it covered. To find out how they can help you create a winning welcome email, contact them today.